Out of the box single events page is ready to go, and is made to show similar layout as eventon calendar on single event page. By default single event page will use the eventon created single event page template which already have sidebar support. 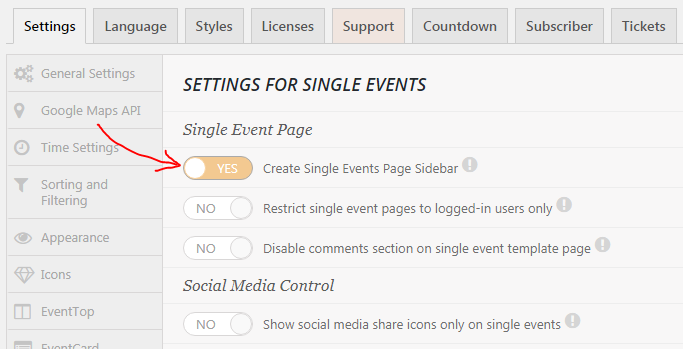 You can go to eventon Settings > Single Events and enable “Create single events page sidebar” to activate the sidebar. 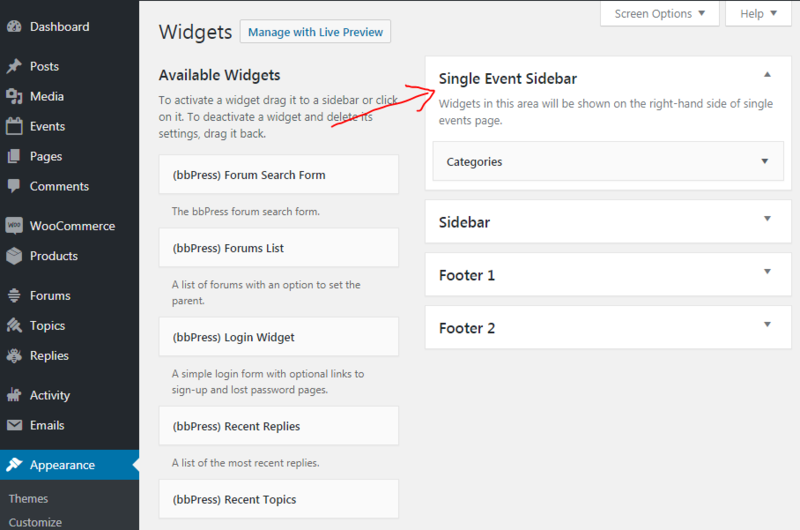 Once this is activated you can easily go to Appearance > Widgets and find the single event sidebar and add widgets.